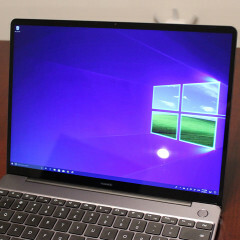 Huawei introduced the MateBook 13 at CES this year as a MacBook Air competitor, except it has a real 15W CPU instead of Apple's 7W Y-series chip. And while it's not exactly aimed at the pro market, it's definitely premium. In fact, if the MateBook X and MateBook X Pro didn't exist, this could easily fit in as a flagship. 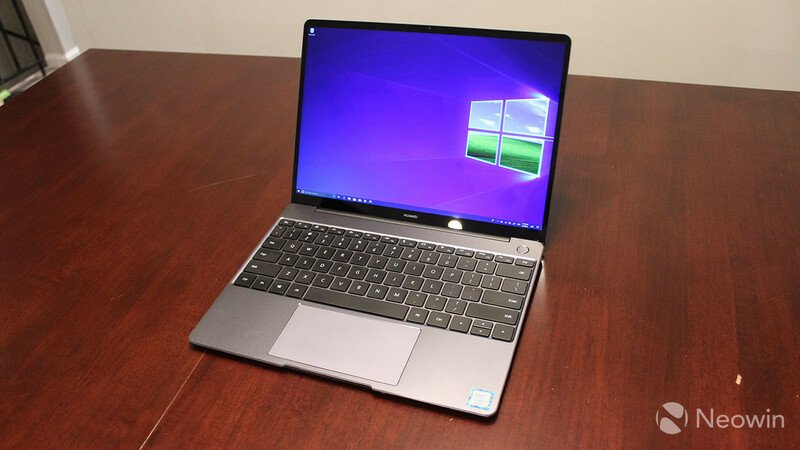 It's thin, it's light, and it has a beautiful display and comfortable keyboard that are backed up by powerful internals like an Intel Core i7 and dedicated graphics. All of that comes in a sleek aluminum design. 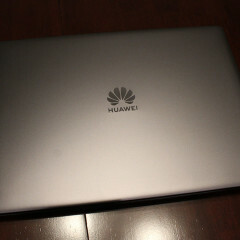 The specs of the model that Huawei sent me to review are above, but there's a second model that comes in at $999. 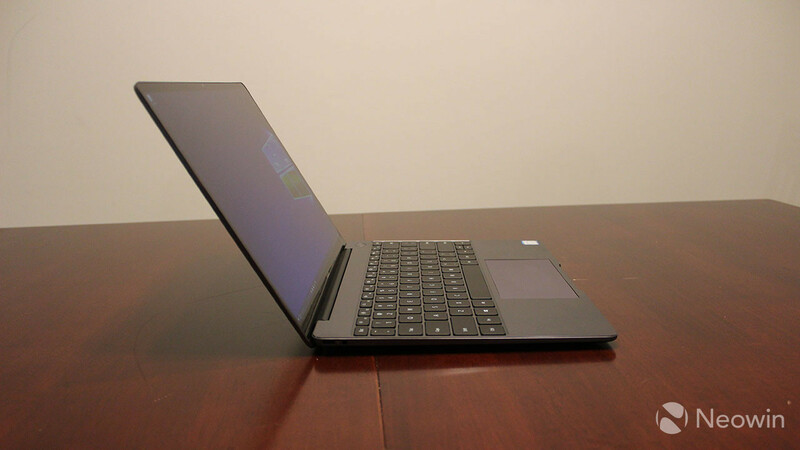 That includes a Core i5-8265U, 8GB RAM, 256GB SSD, and integrated graphics. 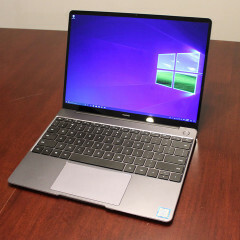 The MateBook 13 has a similar design to the rest of Huawei's PC lineup; in fact, it's incredibly similar to the MateBook X. I had to ask why the firm didn't choose to go with a convertible, since I'm still not entirely sure why this device exists. It's still a great device, but while Huawei wants to call it mainstream, it's definitely premium. 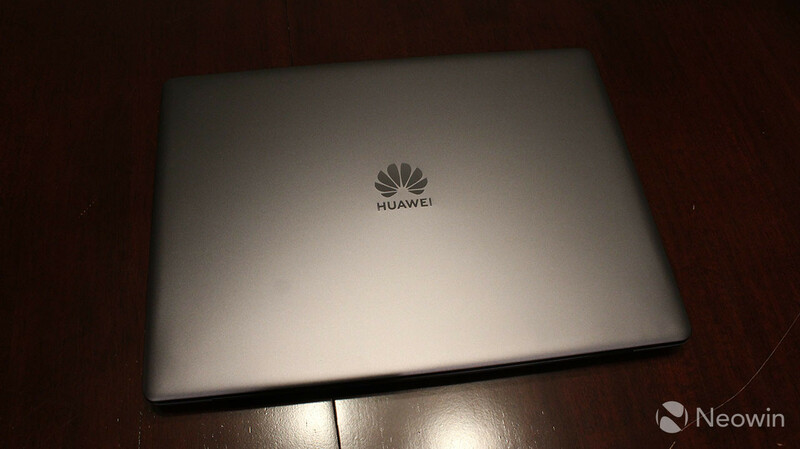 And Huawei has a lot of premium laptops now. It comes in Space Grey and Mystic Silver, just like its other devices. And just like the others, it's not customizable at all. You either get Mystic Silver on the Core i5 model with 256GB storage, or you get Space Grey on the Core i7 variant with 512GB storage and dedicated graphics. The PC is packed into an aluminum body, and while the bottom panel can be detached with Torx screws, you probably wouldn't want to. Repairability is not the MateBook 13's strong suit, and that's fine for a device that's this thin and light. On the right side, there's a USB 3.1 Gen 1 Type-C port, which supports data transfer and DisplayPort. While the specs don't list it, you can charge with this port as well. On the left, there's another USB 3.1 Gen 1 Type-C port for data transfer and charging, and there's also a 3.5mm combo audio jack. 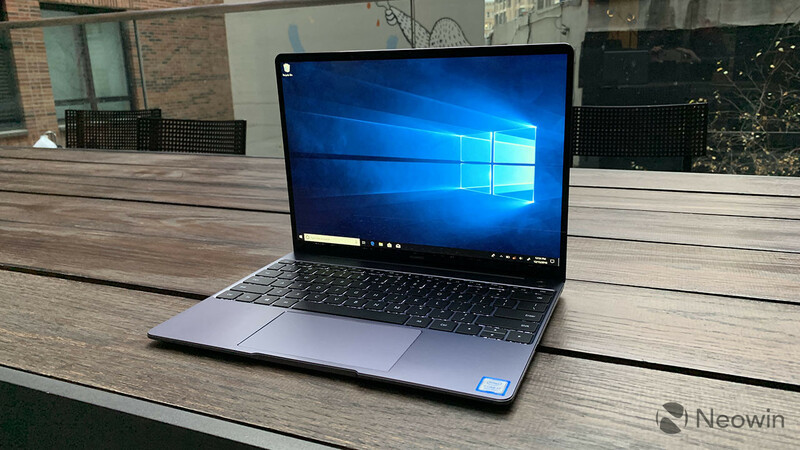 Of course, the biggest disappointment with the design is that there's no Thunderbolt 3, which is the version of USB Type-C that can support data transfer speeds of up to 40Gbps. You could also use Thunderbolt 3 to connect up to two 4K monitors, but with this device, you'll need to stick to one monitor through the DisplayPort lane on the right USB port. 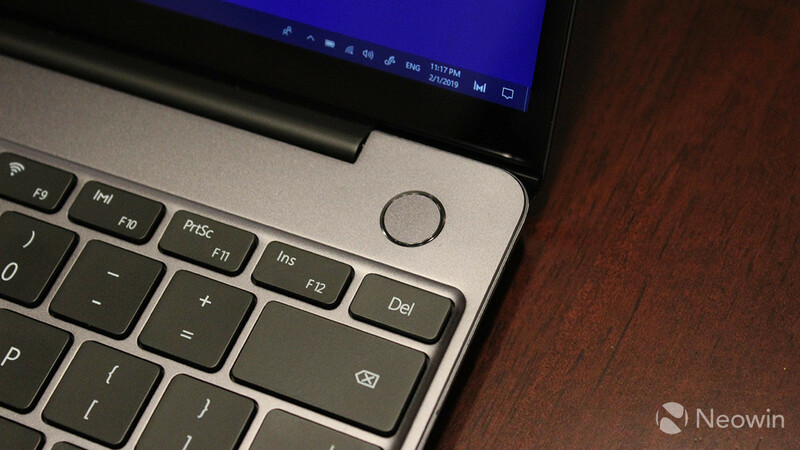 While there's no USB Type-A port, the good news is that the MateBook 13 does come with the MateDock 2.0. 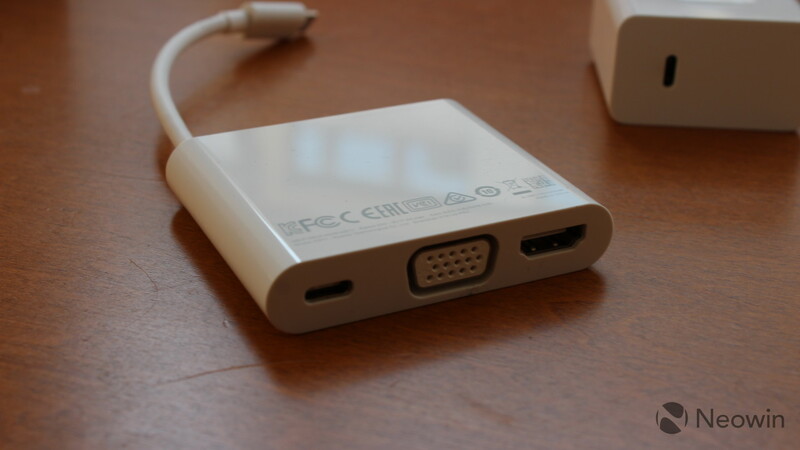 The dongle adds USB Type-A, VGA, and HDMI ports. 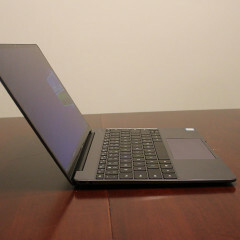 In my opinion though, you should look into the original MateDock, which costs $69.99 on Amazon. 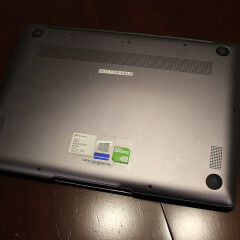 It has everything that the newer MateDock does but with an additional USB Type-A port and a wired Ethernet port. My favorite thing about the design though is just how compact it is. 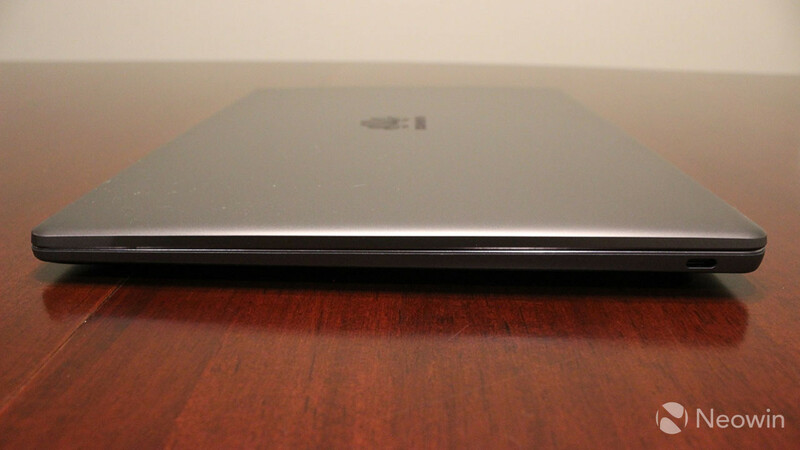 If you put it next to another 13-inch laptop, it's considerably smaller, and there are a couple of reasons for that. One of those are obviously the slim bezels around the display, which always allow for a smaller footprint. But also, keep in mind that this machine has a 13-inch screen at a 3:2 aspect ratio, so it's not as wide as a 13-inch 16:9 display. 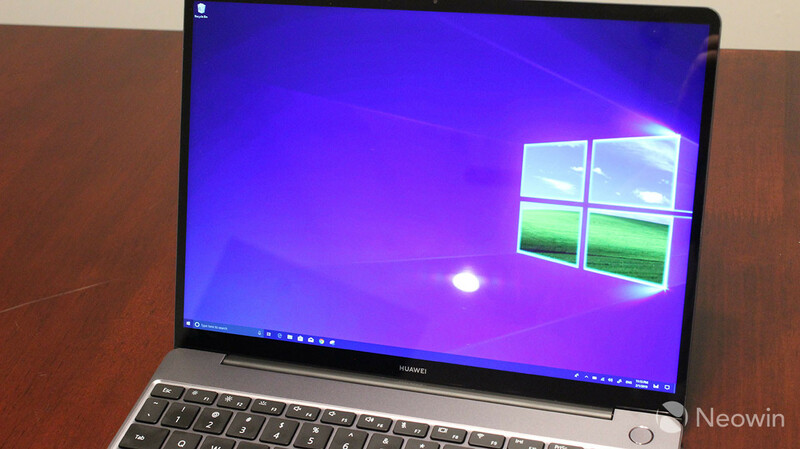 As I mentioned, the MateBook 13 has a 13-inch 3:2 display, and it has a 2160x1440 resolution. That gives it a 200ppi pixel density, which is slightly lower than the MacBook Air's 227ppi. I don't think the difference is noticeable though. I'd absolutely describe the display as "retina", meaning that you can't see any pixellation from an average viewing distance. The display itself is beautiful, and as always is the case from Huawei, it's one of the best in its class. The colors are accurate and vibrant, and it has a 178-degree viewing angle. That means that if you look at it from an angle, the colors don't get distorted like on cheaper devices. The brightness of the display goes up to 300 nits, which isn't great for such a glossy panel. It can be tough to use in bright sunlight, although you might not be using it outdoors much since there's no 4G LTE option. 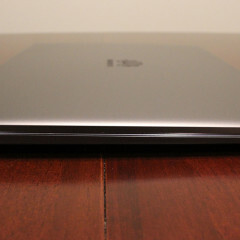 When comparing the MateBook 13 to the MateBook X, there are pros and cons. 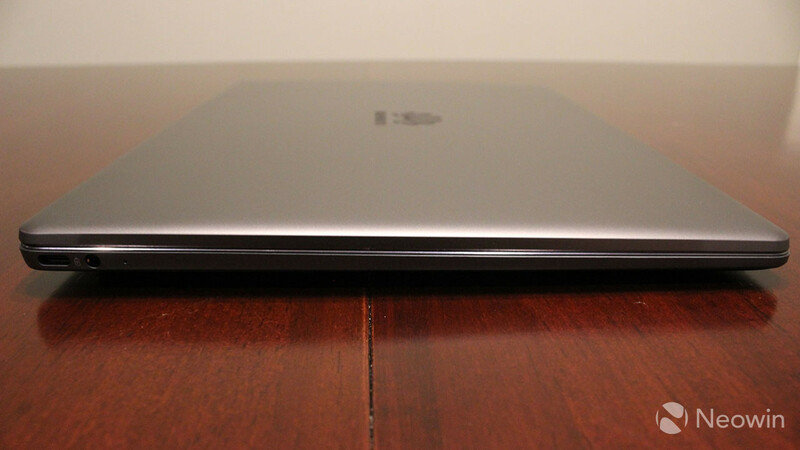 The MateBook X is thinner and lighter, and it also has better speakers. They both include Dolby Atmos, but the MateBook 13 has its speakers underneath the device. In fairness, they both sound amazing. 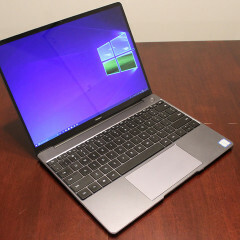 Meanwhile, the MateBook 13 is a little over a half-pound heavier, and it has a fan. 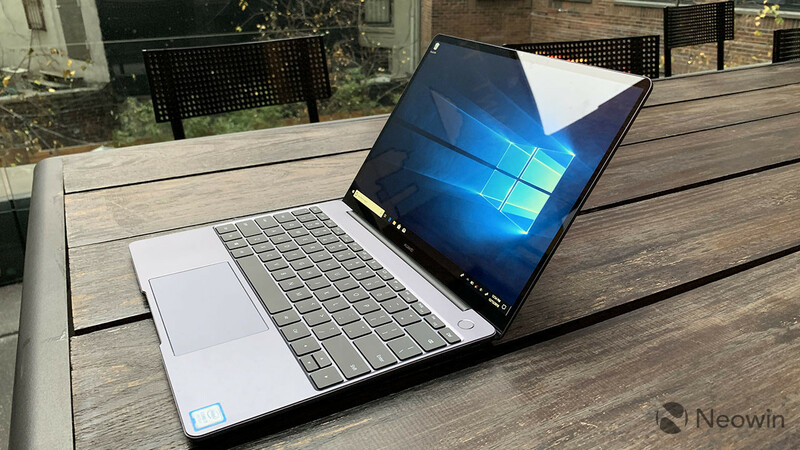 The MateBook 13 has more powerful internals though, as the MateBook X was never refreshed from dual-core seventh-generation 15W CPUs, and it was only offered with integrated graphics. The display on the MateBook X didn't support touch either, a big benefit of the MateBook 13. The screen on the X was much brighter at 350 nits though. 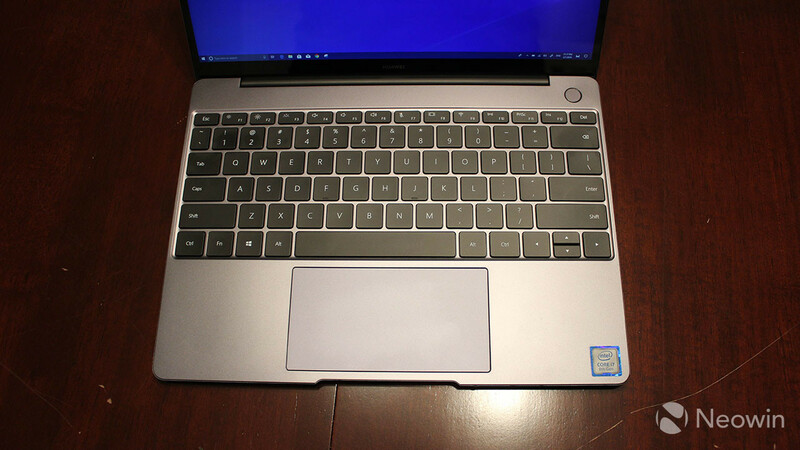 Well, if we're going to compare the Huawei MateBook 13 to a MacBook Air, let's talk about the keyboard. Apple's new keyboards are renowned for being terrible, so that's a big pro for the MateBook, aside from the smaller footprint, thinner body, and more powerful internals. 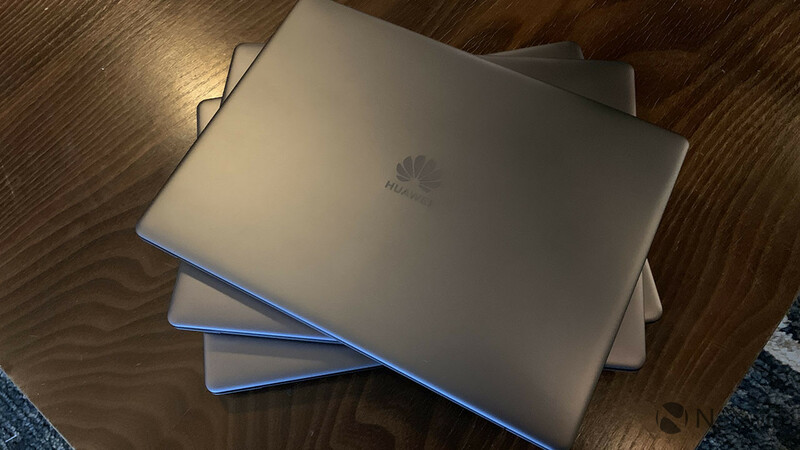 It has the same chiclet-style keys that we've come to expect from Huawei laptops, with 1.2mm key travel. 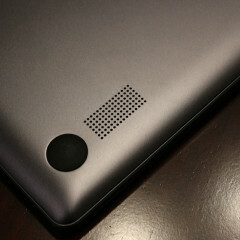 And while the footprint is smaller, it doesn't compromise on the size of the keyboard. It's actually quite nice, and I found it to be really comfortable to type on when actually using it on my lap. For example, if I had to do a bit of editing while sitting on the couch or something, that was a really pleasant experience. The glass trackpad is strangely wide, not that I'm complaining about it. A larger trackpad is always a good thing. It's clickable, in case you were wondering about a device that's so thin and light, and it's not using some crazy Force Touch almost-click mechanism. I'm usually not a big fan of trackpads - I'm a mouse man - but the larger ones are easier to use when I'm not sitting in front of a desk. I think that 1.2mm of key travel is the sweet spot. Obviously, I can't speak for everyone, but I feel like I've been trained for shallower keyboards in recent years. 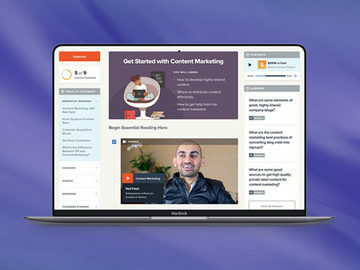 I can't go too shallow, like with Apple's MacBooks or Dell's XPS 15 2-in-1, but this seems right. Overall, it's a great experience. This is a result of the combination of the smaller footprint and the perfect key travel. 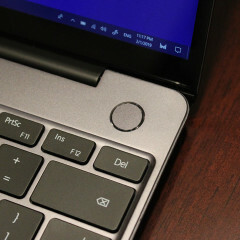 The Huawei MateBook 13 includes a fingerprint sensor in the power button, which is placed to the top-right of the keyboard. 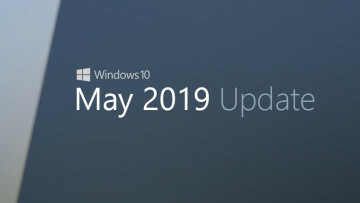 Also included in the MateBook X and the MateBook X Pro, it's one of my favorite features of any Windows PC and it's my absolute favorite method of Windows Hello. The reason for this is because it actually scans your finger when you power on the PC, rather than having you scan your finger again after you boot it up. You press the button once to boot up the machine, and it logs you in. Different companies have different takes on this. 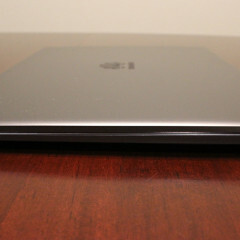 LG does the same thing in its gram laptops. Dell has the fingerprint sensor in the power button but doesn't do it, believing that it's a security risk. 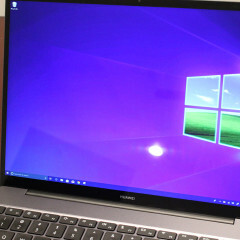 The idea is that if the machine takes over a certain amount of time to boot up, the PC must assume that the user may have walked away and someone else might be sitting in front of it by the time it logs you in. Personally, I prefer the convenience. Normally, I'm a big fan of facial recognition, but it's frustrating when you're in the wrong lighting and it suddenly doesn't recognize you. 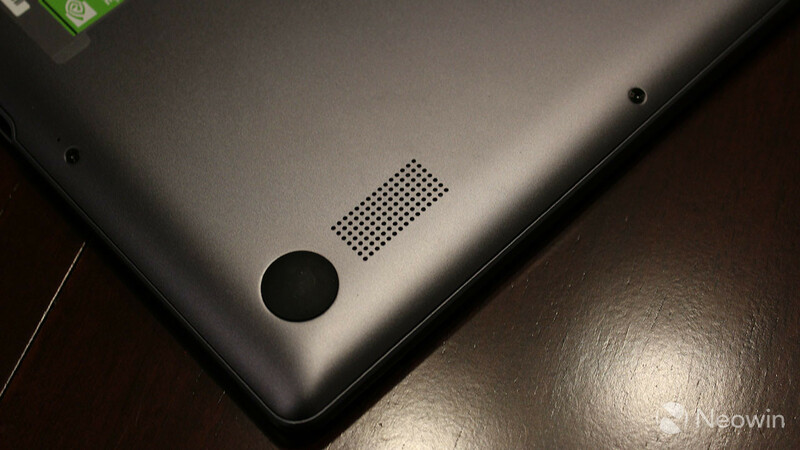 The fingerprint in the power button is biometric authentication that doesn't require any extra steps. And Huawei makes some of the best fingerprint sensors around. I've been pointing this out for years, and while many phones have caught up, PC fingerprint sensors really haven't improved much. 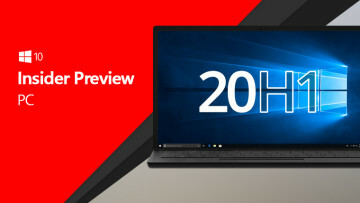 It's fast and it's accurate, something that you won't see on many other Windows 10 PCs. 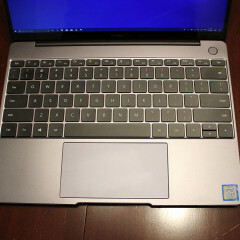 The MateBook 13 that Huawei sent me includes an Intel Core i7-8565U, a 15W quad-core CPU from the Whiskey Lake family. It's what can best be referred to as a second-generation eighth-generation mobile processor, with the old ones being Kaby Lake R. The base model has a Core i5-8265U, which is also Whiskey Lake. For graphics, it uses a 2GB Nvidia GeForce MX150 (not included in the base model), which is fine. If you're unfamiliar with the MX150, it's pretty much the "better than nothing" GPU. The truth is that most PCs in this small of a form factor won't have any dedicated graphics at all. So yes, it's better than integrated graphics, but it's no RTX 2080. It's good for some Photoshop work, but it will start to choke on video editing, although it can be done in a pinch. And that's exactly how I used it. The vast majority of the time, I was using productivity-related tasks, mostly through Google's Chrome browser. 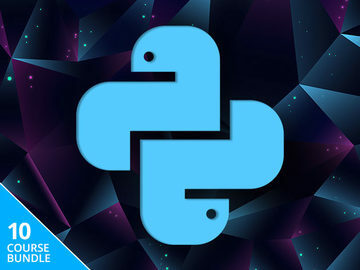 I did install and use my favorite Adobe Creative Cloud apps like Photoshop, Illustrator, Acrobat, and Premiere Pro, and I used them in the events that I needed to. The performance was great, and I even spent some free time playing Star Trek Online. Both models of the MateBook 13 come with 8GB RAM, so if you want 16GB, you have to go with the MateBook X Pro. This is actually where Huawei's lineup gets a little confusing. 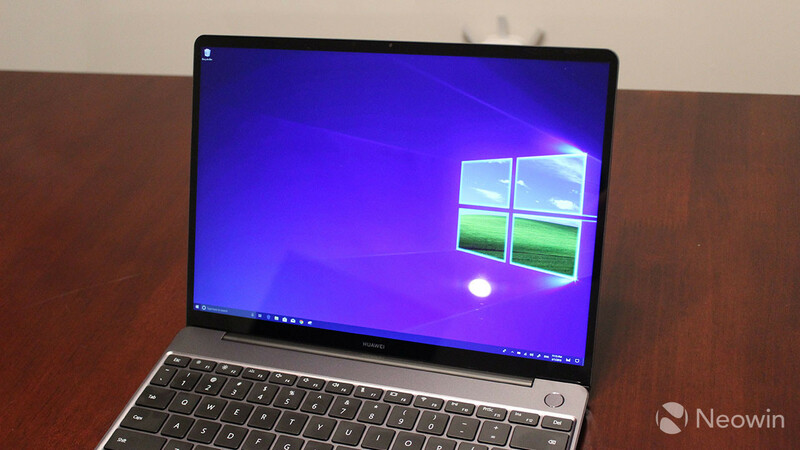 The MateBook X is premium, but it has seventh-gen CPUs and 8GB RAM, the MateBook X Pro has up to 16GB RAM and the same MX150 GPU, but the CPUs are Kaby Lake R. The MateBook 13 is meant to be mainstream with 8GB RAM, but it has Intel's latest processors. One thing that's not great is the battery life. Huawei says that it gets 10 hours of battery life while watching 1080p video. The only problem is that no one is watching video for 10 hours. In real life, this thing gets five or six hours of battery life, so you still have to bring the 65W charger to get through the workday. The good news is that it has fast charging, so you can power it back up pretty quickly. For benchmarks, I used PCMark 8. I run three tests: Home, Creative, and Work. 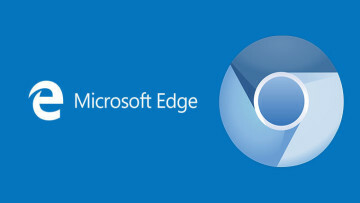 First up is Home, which checks common tasks like web browsing, video chat, casual gaming, and more. As you can see, it performs quite well. That's not surprising given the internals. Next up is the Creative test, which checks more GPU-intensive tasks like video editing and mainstream gaming. These results were a bit more surprising. Sure, I expected to beat out most ultrabooks with integrated graphics, but I didn't expect it to beat 70% of results with an MX150 GPU. Finally, the Work test checks productivity-related tasks like writing and spreadsheets. 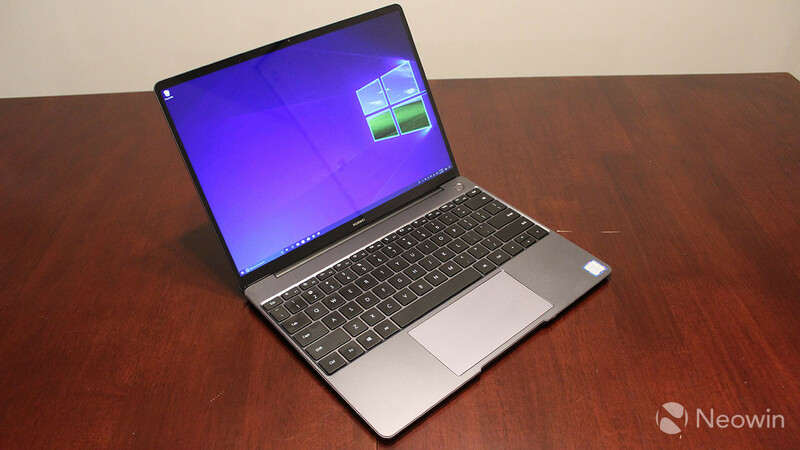 The Work test is where this machine really shines, which isn't surprising at all given the Core i7-8565U CPU. The GPU does give it an edge over other machines that are engineered with productivity in mind. The performance is great, and it checks all of the right boxes. The display is beautiful, even if it could be a little brighter, and the keyboard experience is wonderful. Battery life isn't great, although that doesn't matter as much to me because I'm not using it off of a charger for more than four or five hours anyway. 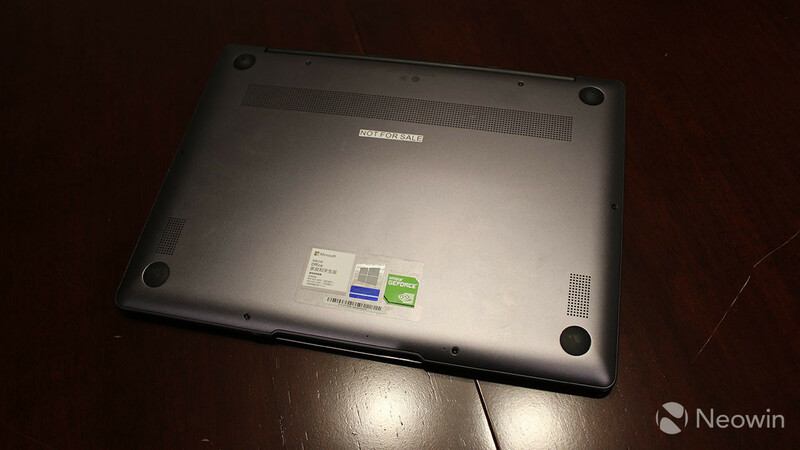 I'd also really like it if there was a 4G LTE model, something that's becoming more and more common in laptops. Overall, this is an awesome PC. Throwing it in a bag feels like nothing is there at all, as it comes in at under three pounds. With that level of portability without compromises, you can't beat it. If you want to check it out on Amazon, you can find it here. 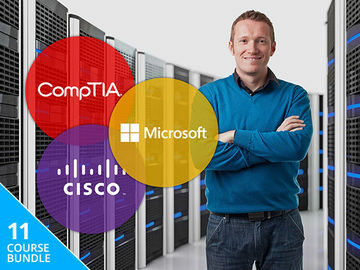 I do recommend the Core i7 model, since you get the dedicated graphics and additional storage for just $300 more.